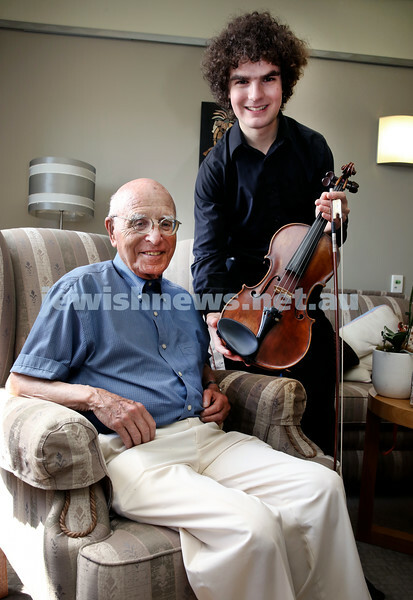 Gerald Westheimer with young violinist Ben Adler with a vintage violin. 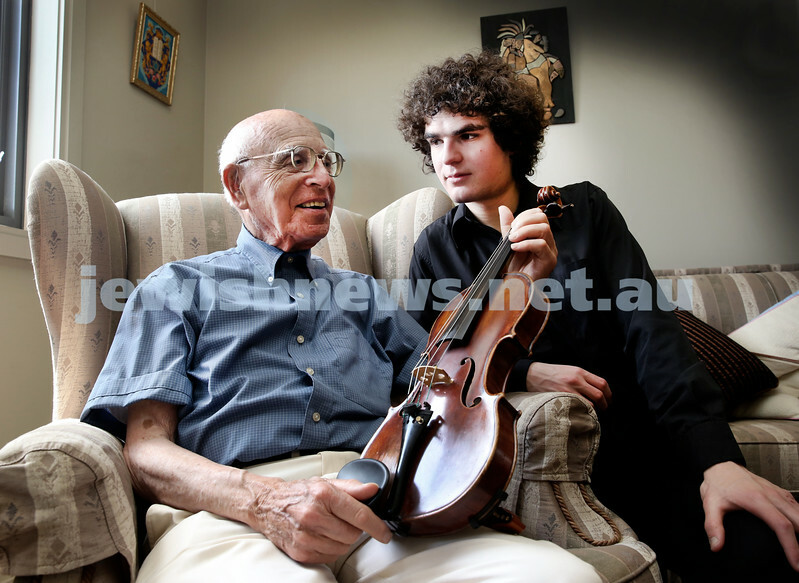 Pictured at Montefiore Home in Randwick. Pic Noel Kessel. 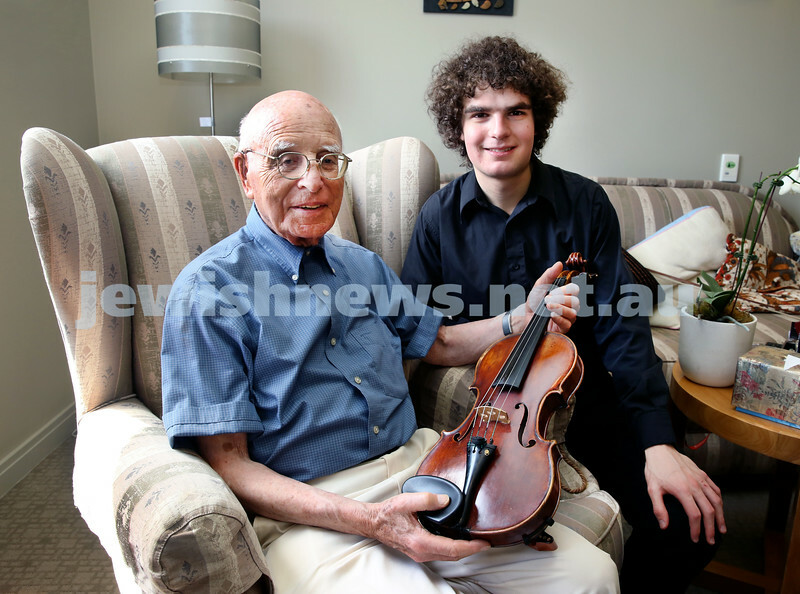 Gerald Westheimer (right) with young violinist Ben Adler with a vintage violin. 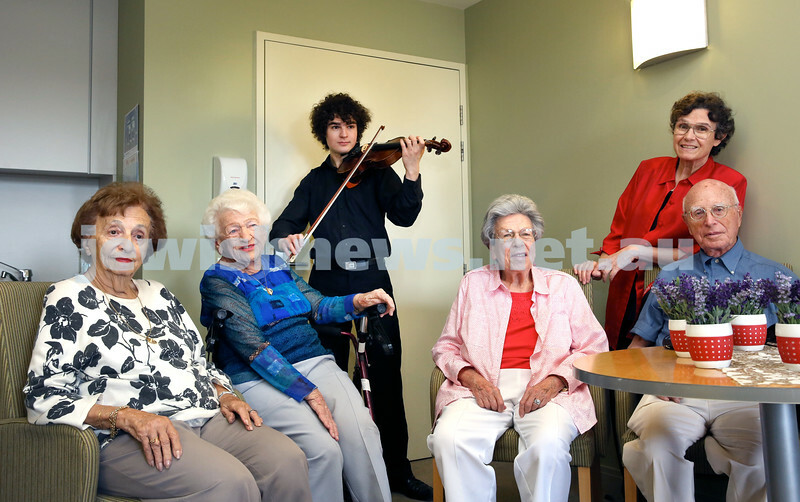 Pictured at Montefiore Home in Randwick. Pic Noel Kessel. Gerald Westheimer (right) with young violinist Ben Adler (middle) with a vintage violin. 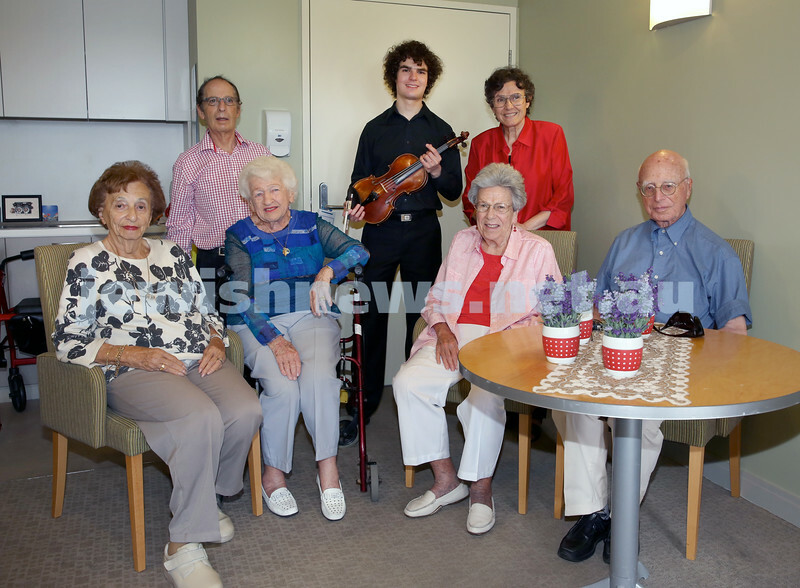 Pictured at Montefiore Home in Randwick with family and friends. Pic Noel Kessel. 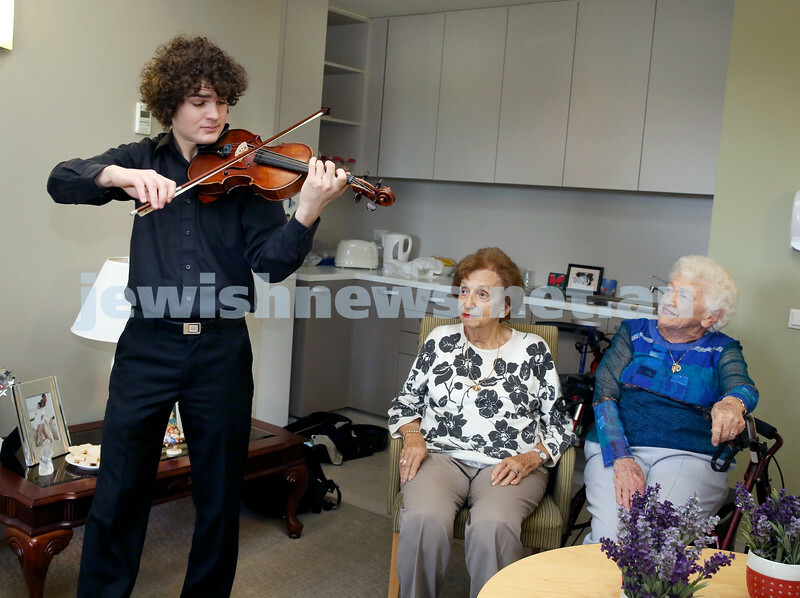 Young violinist Ben Adler with a vintage violin playing at Montefiore Home in Randwick. Pic Noel Kessel.